If you follow me in the social media world then you may have see this photo a few weeks ago. The caption read, "I do believe this is an official big girl moment. #movingintomyownplace." And little did I know that just after this picture was taken I would go spend forty dollars on soaker hoses, water hoses, and a spray nozzle. -To me, it means independence. Understand me when I say I am not bragging, but it is not an easy thing to move into your own home with no roommates or significant other. This is a huge step for me that I honestly thought I would never do on my own. -It means I will have a clean house. I am so blessed to be moving into my own home, but to be able to have a clean home to share with all my family and friends is a blessing in itself. -My beautiful hydrangea tree will get the water it needs and hopefully the foundation won't shift anymore, aka Responsibilities. Ironically as I am preparing my home and buying things for it it is also a very big time for college students as they are moving too. Every store I go in has back to college signs and displays. I am quickly reminded of the summer before I went off to college and how every shopping trip and conversation was in preparation for my move to San Marcos and ultimately the next four years. This time around it seems strangely familiar to that summer, yet completely different and new. Thankfully I know more about this move, but there are still many unknowns. One thing that I do know is that I could not be more thankful to have my family just next door for this move and my friends just down the street. Those soaker hoses and that vacuum cleaner may just be things, but to me they mean the next chapter of this beautiful journey. Love the picture, Lauren :) And I am so excited for you! Have a great Monday. Oh those trips don't stop!! 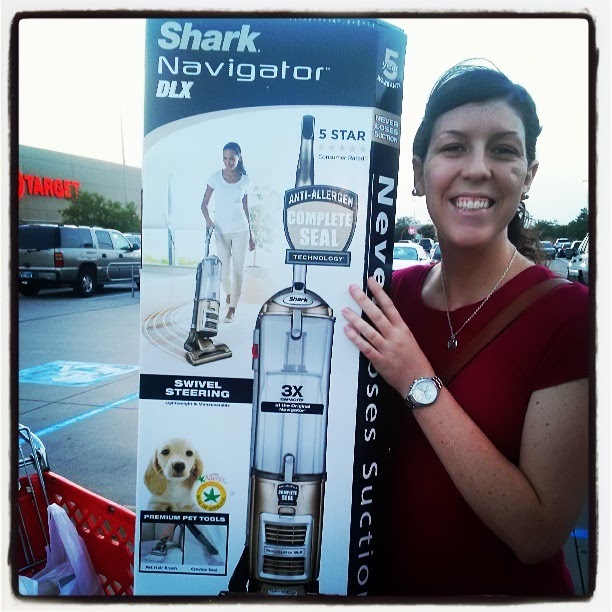 :) I can't tell you how many trips to the store also include "oh and I need a new mop!" or some very practical yet boring necessity! So so so exciting! And I agree with Rebekah!